Laptop DJs already have it bad. Because they don’t use vinyl, elitists look down on them. Now, some people choose to throw Molotov cocktails at the already burning building. You damned arsonists! Thinking about that inspired me to write a top five list on what annoys laptop Djs. 5. Making requests as the DJ sets up their equipment. This may not be unique to laptop DJs. Yet, because people expect laptop DJs to own every song recorded, some folks request songs and genres I have no intentions playing. It would be nice if folks at least asked what kind of music I intend playing before they make requests. For some reason, women do this more than guys. 4.. Asking the DJ to look at your awesome website as they’re trying to mix. I know at least one person who does this. I like the guy. Yet, that crap annoys me. As I’m trying to read the crowd and play the appropriate music, I can not be bothered with web search requests. 3. Back seat DJs Yea, I know. The vinyl folks experience this too. Yet, the laptop DJ experiences something different. Because of the laptop’s portability, the DJ can “spin” from the bar counter, inviting unnecessary trouble. Some folks will sit by the DJ and attempt influencing the DJ’s play list all damned night. One evening, I let it known I didn’t appreciate that. 2. Asking the DJ to play songs from your phone…especially when they’re not familiar with the song. First of all, it’s annoying. I hate taking the time of unplugging and replugging just for one damned song! It interrupts the evening’s flow. Then, if the song I never heard before turns out to be terrible, I want to punch the person who insisted on wasting my time in the first place. 1. “Aren’t you online?” This takes me back to number 5. 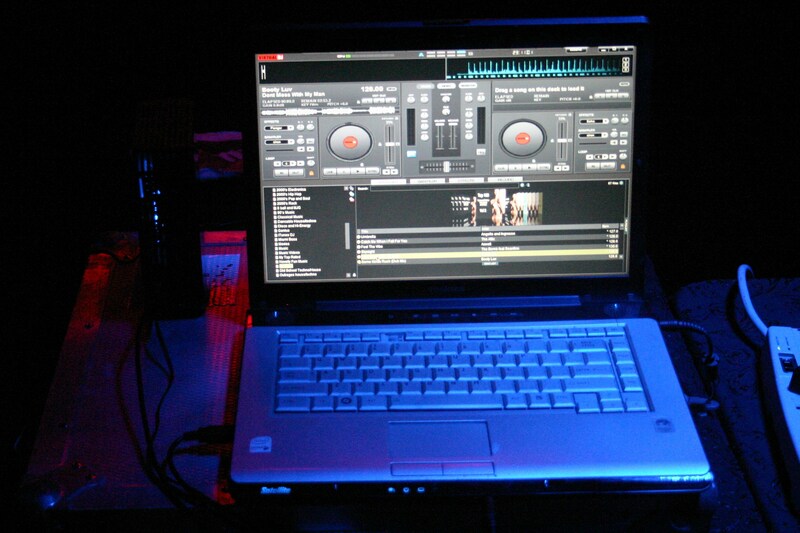 The laptop inspires request for songs and genres the DJ have no intentions playing, the reason why some folks request such songs and genres before the DJ starts his or her gig. If the DJ don’t have it, they’re expected to go online and find it. If I plan on playing hip hop, I find it annoying someone insists I search online for a punk song. If the DJ does not have your song, get over it. The world isn’t going to end. Also, the world does not revolve around you and that one damned song. Asking the DJ to go online makes them hate you. Right now, you’re acting like a spoiled brat who won’t shut up until someone gives in to your demands. If the DJ gives you attitude, you asked for it. At one gig, I do go online because I’m required to play every requested song. At other gigs, I rarely go online because playing every requested song is NOT a requirement. Sometimes, an online song won’t even play. Other times, part of the song will play and stop. Headaches I prefer not experiencing.